In November 2007, the first "Window on UNEP Information and Events" was opened in the Northern Concourse of Tokyo Big Sight (Koto City, Tokyo). The installation of the display will provide citizens with UNEP's environmental information, which will be renewed periodically. Please come and visit it. In September 2008, the second "Window on UNEP Information and Events" was opened in Makuhari Messe (Chiba City, Chiba). It is located on the 2nd floor lobby hallway in the International Conference Hall. 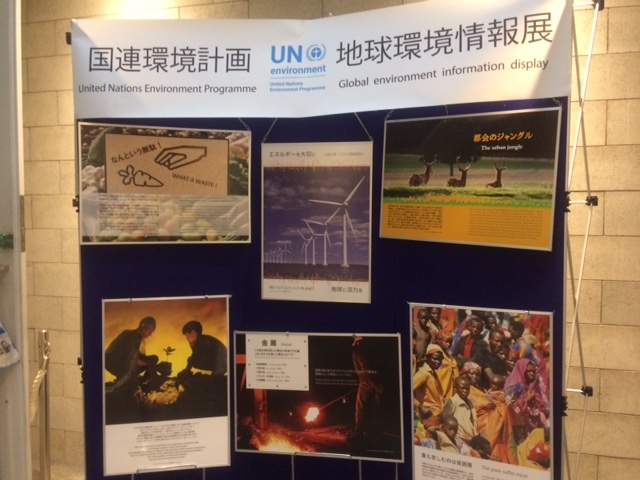 In October 2008, the third "Window on UNEP Information and Events" was opened at the Center for Environmental Science in Saitama (Kisai City, Saitama). It is located near the 1st floor entrance (Zone 1) of the Exhibition Hall. In March 2009, the fourth "Window on UNEP Information and Events" at Hyogo Hands-on Ecology Center in Hyogo (Sayou-gun, Hyogo). It is located at Children's Play Area. In May 2009, the sixth "Window on UNEP Information and Events" was opened at ECOPAL Nagoya (Nagoya city, Aichi). It is located at the environment information corner. In June 2010, the seventh "Window on UNEP Information and Events" at ECO House 138 (Ichinomiya city, Aichi). It is located at the 1F Entrance Hall. 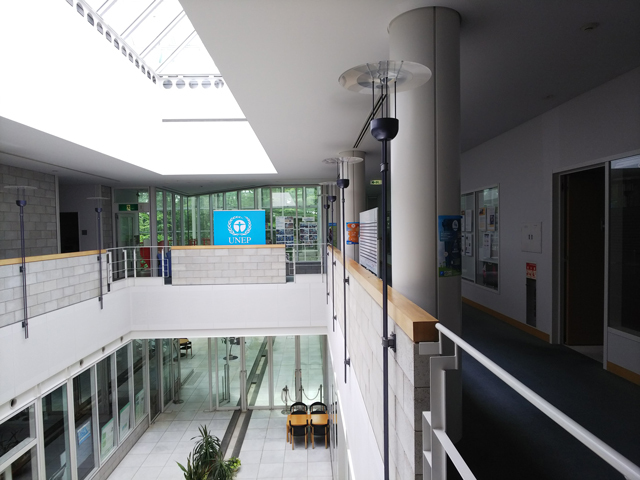 In June 2018, finally "Window on UNEP Information and Events" was opened at UNEP-IETC(Osaka). It is located at the 2F Entrance Hall. Copyright © Public Interest Incorporated Foundation Associates of the Earth All Rights Reserved.